Earlier I posted: Now, it's a matter of culling the herd, but I'm finding that much harder than buying them! Case in point: I just finished the final packing of the Hino Mizar P-100, and I got that last-minute "Do I really want to part with this one?" pang of self-doubt. Crazy? Absolutely. Silly? Probably. But when I've enjoyed using a scope, it is kinda hard to pass it along. And it seems like the longer I've had the scope, the tougher it is. But I'm definitely keeping my RV-6, and it makes the P-100 redundant; just as my Goto 60 makes the Pentax J60 the odd scope out. And, there are only so many clear nights in a year. I can see the logic, but that doesn't mean I have to like it. So I picked up the RV6 today. Seller was the original owner, bought it as a middle schooler in 1979 and hadn't used it in a few decades. Congrats Zane on a great find! To me, it's so much better when you know the scope's history; and, a one-owner is often in better shape than a dozen-owner. Enjoy!! So I picked up the RV6 today. Seller was the original owner, bought it as a middle schooler in 1979 1978 and hadn't used it in a few decades. There was some brown residue on the finder and OTA but it came off. I took out the primary (no UPCO sticker, oddly) and cleaned it. Looks like new. The drive works but I don't have my DC power source at the moment so I'll be using it manually for now. 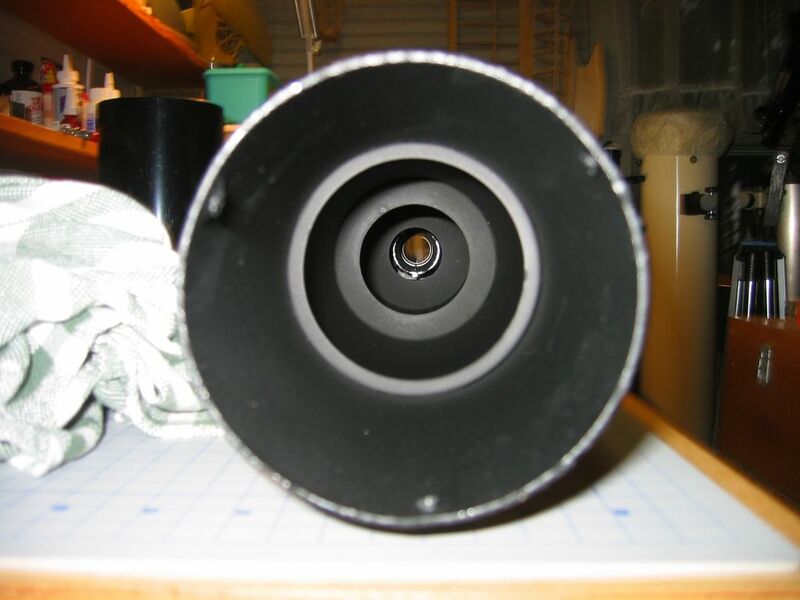 The scope is ridiculously light - OTA is maybe 5 pounds, and the whole thing might be 50. Way lighter than the Super Space Conquerors. Looks mint gent. Never owned one. Had the 6 and 8" Dynascopes back around 1980. I had never even seen an RV6 before except for a very rusted, beat-up one at Stellafane once. That is a newer scope. I was thinking something big and gray from the 80's. Hate to ask what you got that for. Well let me know about that FS128 one day. That was fast. I miss my FS-128, but after getting the FS-152 I just didn’t use it, so it had to go. 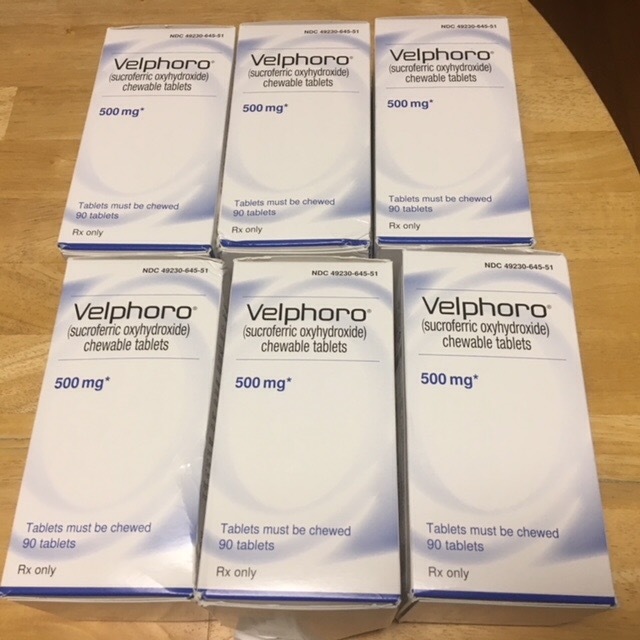 Another $1000 prescription refill dictates the sale. No worries about the brown residue, they couldn't find the T/P in the dark! It truly is! Here's an even prettier photo I just took - I put a Moonlite on the OTA so I could use 2" eyepieces and not have to deal with the annoying friction fit of the drawtube. I would pay 500 smackers for that. cleaned it followed by a damp cotton dishtowel. 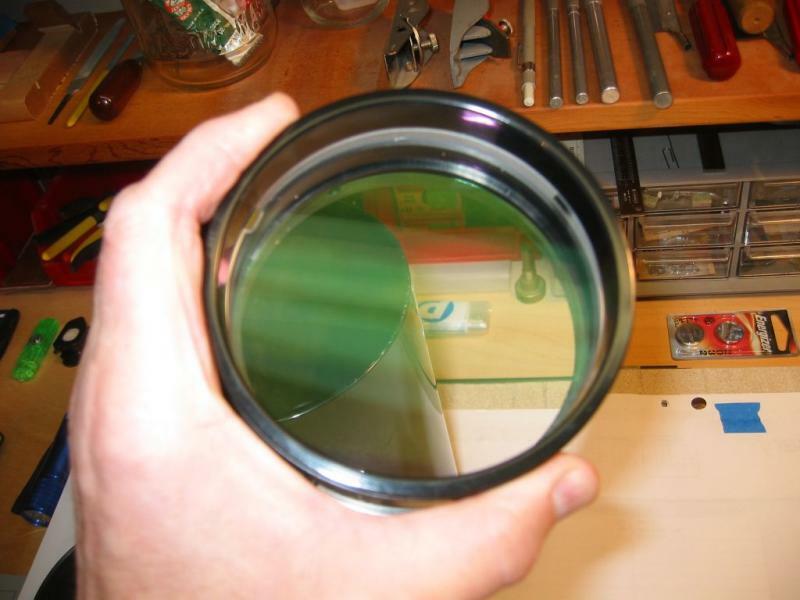 generous aperture,nice finish, well baffled, multi coatings. If it ever stops raining we can see how it performs. Looks like the first Gen HD C102 that replaced the Vixen stuff in 1997 with the green lens. 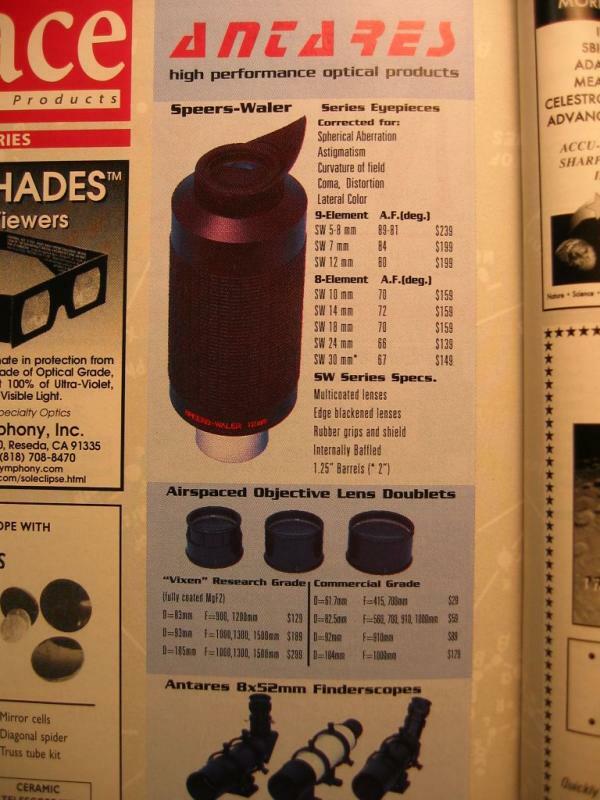 Lens looks just like the one i had back in 1997.
the more weight on the mount strategy is intriguing. Where does the extra weight go ? I have used extra weight on tripods and or tripod legs but not mounts Penny socks What to do with all the pennies that fill dishes and coffee cans and aren't worth a penny to make? Love the Moonlight on the RV-6. Would love to hear how that works for you in visual tests. I have several multi-scope mounts, like the Polaris & EM-1S, and I noticed that the heavier OTAs moved better than the lighter ones. That was months ago. 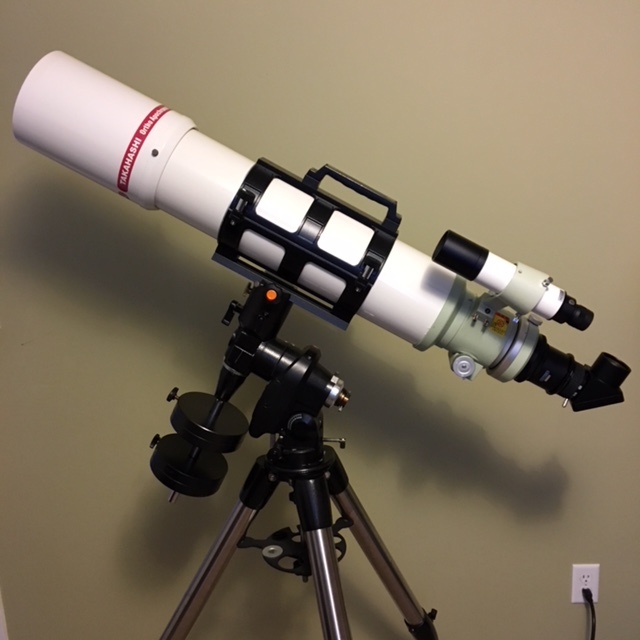 Since then, when I put the heavy Unihex on my Sears 6336, that old AO mount turns faster & smoother; and, that Meade StarFinder with the APM 152 + FC50 rig (double rings & straight braces); and, the "new" Mizar AR-1 mount with heavier OTAs, too. I'm not an engineer, so I have no idea why, but I did find it interesting. But... don't y'all say Ol' Bomber Bob recommends putting thousand-pound loads on every mount!! Edited by Bomber Bob, 10 December 2018 - 07:14 PM. WOW! Your RV6 looks way better than the Bay ad. Congrats...... Did I miss the cleaning? 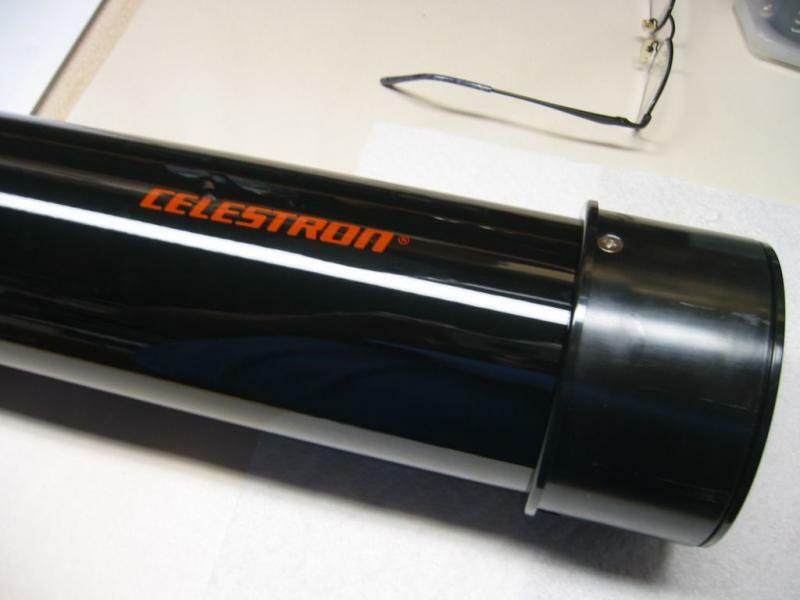 You mention how light it is, Bomber puts his on an old(nice) Polaris mount. Only seen pics of this. Nice Moonlight! 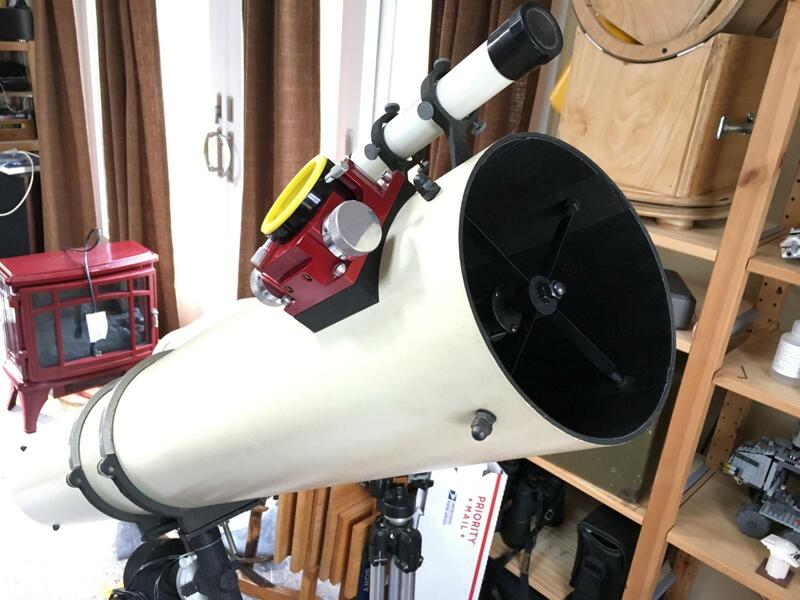 Is there any issue with the size of the secondary and 2" eyepieces? Now that I have two RV6's perhaps I should start thinking about mods! That Moonlite focuser really does put pizazz in the RV-6. I do, and not just the pedestal version, but the tripod puts the eyepiece up too high for comfortable seated observing. BIF: The Mizar P-100 went to a CNer, after all -- a very good thing in my book. Edited by Bomber Bob, 10 December 2018 - 09:33 PM. Its here. The only issue is that the objective will need cleaning. 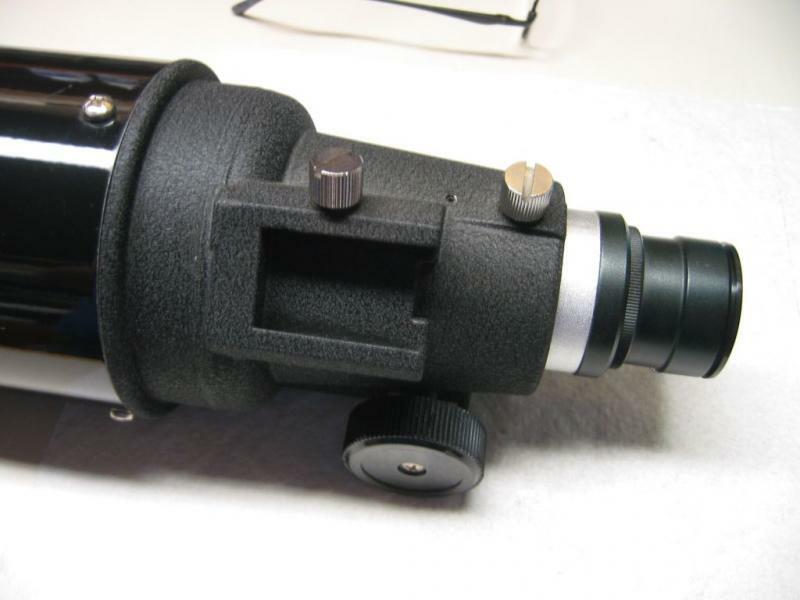 TOA 130F(4" focuser). Got the tube cradle from ES today and it fits great! It was $352 less than the Tak's clamp. Bought the ES cradle for my Comet Catcher earlier this year. Perfect fit. Been waiting 25 years for this product! I need one too. Is that the 152mm one?